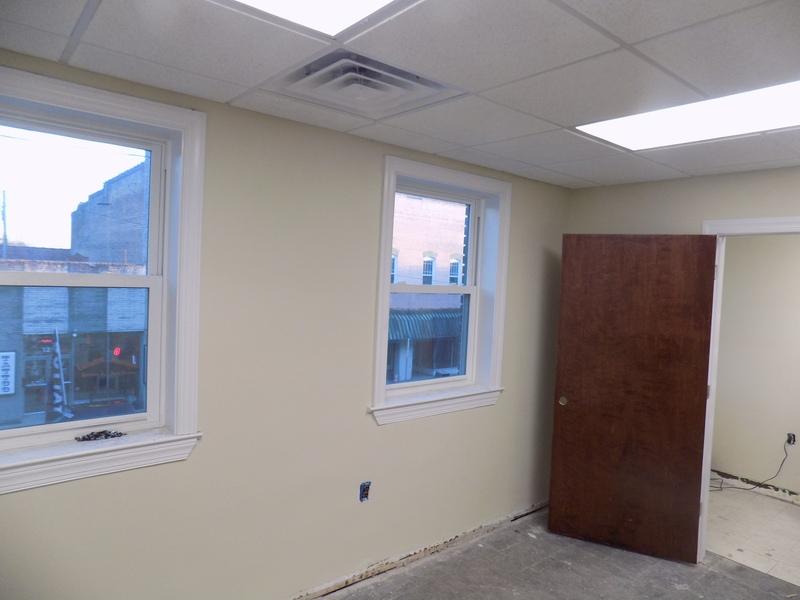 Goldsboro Street office space currently divided into several office/conference room spaces. Has front and rear stairways plus elevator. Plenty of parking available with the Barnes Street parking lot. Has access to gigabit high speed internet through GreenLight Broadband Services. Convenient to Wilson County Court House and Historic Downtown Wilson. Possible uses include professional offices, art studio, day spa, or tech-related business. 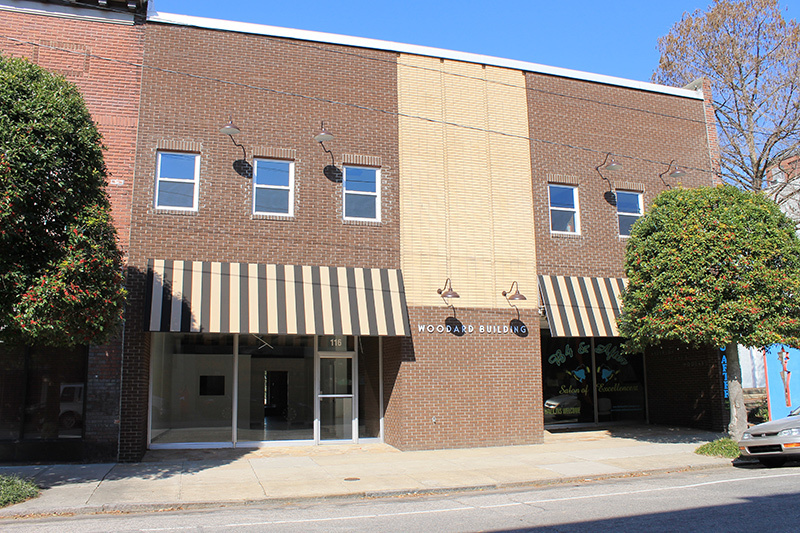 Offices 201 and 202 are the front two spaces overlooking Goldsboro Street with the windows. 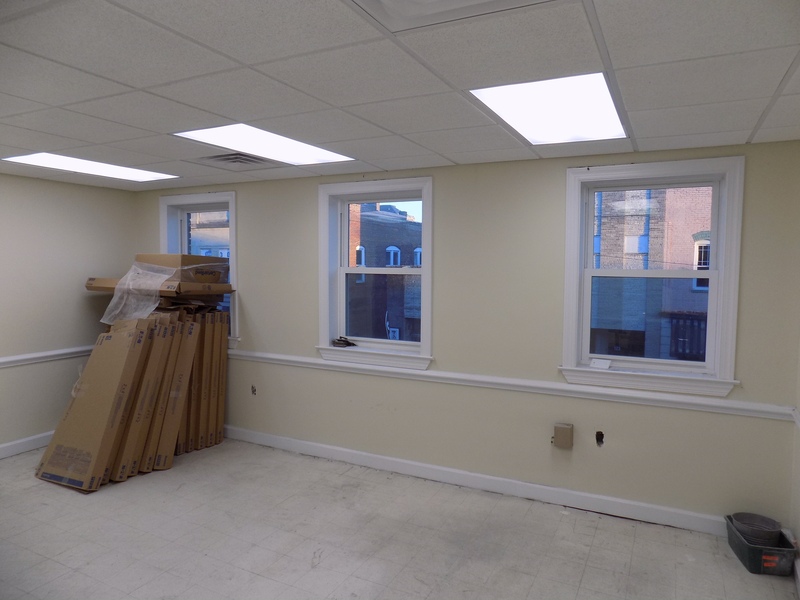 Remaining to be done – floor coverings and final touch up.